Get ready for St Paddy’s Day with these exciting activities that you can even create with your kids! St Patrick’s Day is a very fun day for everyone. There will parties and parades, tricks and pranks and a whole day filled with laughter! Make it extra special with these crafts to catch those leprechauns who are stealing all the gold. Don’t forget about shamrock crafts and four leaf clovers! These are easy to make and surely your kids would have so much fun setting these up. Children would surely become extra creative to come up with ways to catch a leprechaun who will grant them 3 magic wishes. 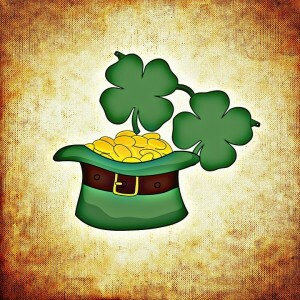 A shoebox trap is enough for a tricky leprechaun if some pieces of gold are placed as bait. No leprechaun will be able to resist that. It could be difficult to find a pot of gold but you certainly can make your own. Look for small pots or create your own from paper and other supplies to create a Pot o’ Gold centerpiece. Add a rainbow on top and some gold coins inside and you’re done! If you’re having a party, why not cut green paper into shamrock shapes and use those as name place cards. You can also frame a fun saying or quote and add a shamrock or a four-leaf clover for luck. There are lots of printable funny jokes you can frame and hang by the door for a bit of laughter each time someone enters your home. This is a special day and is observed by the Irish as a religious feast for the patron saint of Ireland. Those who are Irish-by-heart also take part in the festivities. Expect to see a lot of green on this day together with shamrocks on some people’s hats and/or lapels.